DISCLAIMER: Nothing on this page is to be cited as a legal source. This is for helpful/informational purposes only and should not replace direct advice from a tax professional. WHO SHOULD FILE FOR LA BUSINESS TAX EXEMPTION? Any performing artist earning 1099 income in Los Angeles should file for the Business Tax exemption. Because as actors we don’t always know what the forthcoming year will bring, it’s a safe bet to register each year, just so you’re covered. You might get away with it… for a while. But I’ve seen this come back to bite people a few years later with a hefty fine. It only takes ten minutes to complete the registration - better safe than sorry. I’ve provided the instructions to the best of my ability to help you through it. Every year, by the last day in February. Set a reminder on your smart phone so you won’t forget next year! Most likely, no. If you’re earning less than $300,000/year in 1099 Creative Artist Income, you will not owe. Earnings beyond that would depend on your specific situation. If you’re earning less than $100,000 from a self-employed business, you also will not owe. Click here to be directed to the REGISTRATION PAGE and follow the instructions in the video below. Click here to be directed to the RENEWAL PAGE and follow the instructions in the video below. The nice folks at Chuck Sloan and Associates have a ton of helpful info on their website: chucksloan.com. You can also ask our HWA tax expert and preparer, Jeff Thompson, on the Happy Actors FB page or jeff@JeffThat.com. In this video, I'll walk you through how to register or renew your LA City Business Tax. If you're ready to renew, you will need to know your total 1099 and cash income for 2018. You'll also need to know which portion of that was from acting/writing and what was other income. If you are filing for your corporation, you will need to know your TOTAL income for 2018. For more tips and resources like this, become a Happy Actors Insider and you'll never miss a thang! 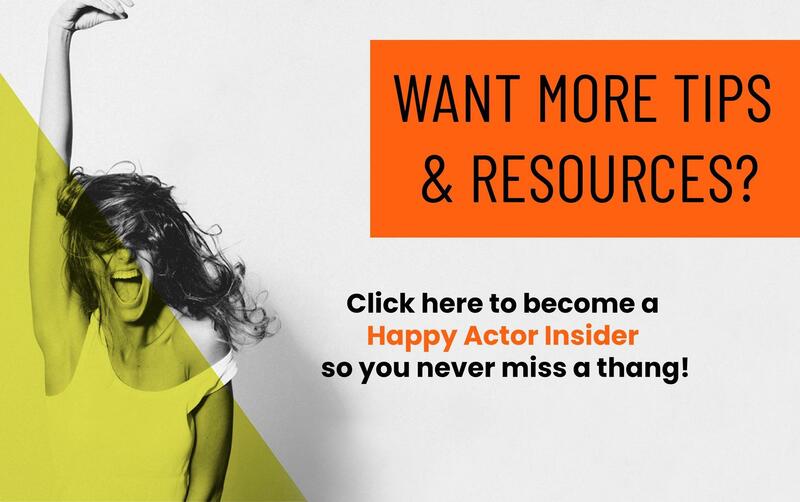 Become an Happy Actors Insider for tips, resources, and HappyActor gossip hotter than TMZ! Tips, resources, & HA gossip hotter than TMZ!